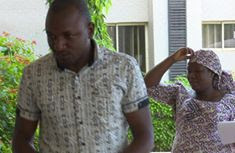 The Economic and Financial Crimes Commission, EFCC, has in its ongoing fight against fraudulent acts and corruption in the country nabbed a pregnant woman and her accomplice. 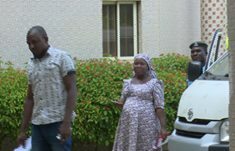 The pregnant woman was yesterday, July 31st arraigned before Justice Abbas Ahman of the Kebbi State High Court on a three count charge of forgery. 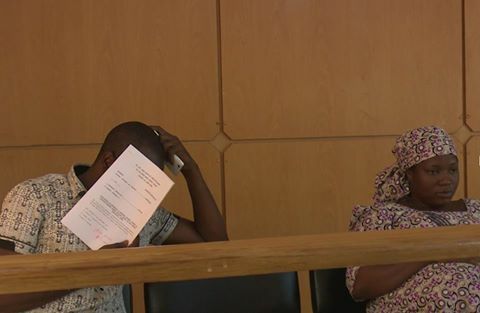 She was arraigned alongside her co-conspirators identified as Ebenezer Joshua and Franca Johnson. The accused persons were suspected to have forged the Certificate of registration of the Special Control Unit against Money Laundering, SCUML, while working together as staff of a new generation bank. 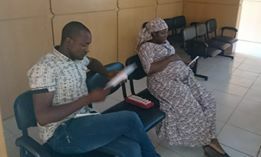 The fraudulent act was exposed after the forged SCUML received two registration forms for clearance from a new generation bank bearing the names, Noble Women for Better Tomorrow Initiative and another, Support Initiative for Better Maternal Health. Some abnormalities were reportedly discovered upon the receipt of the certificates leading to verification and investigation.